Here, we will compare GAF warranty and Certainteed – the two most popular roofing shingles manufacturers. Knowing how to choose the right roof warranty can help you protect your house, in case something goes wrong. Big manufacturers use warranties as part of their marketing strategy to attract consumers, with promises such as “50 year” or Lifetime coverage”. However, many roof materials warranties are NOT what they appear to be on the surface. You need to read the fine print to actually understand what is covered and under what conditions. Most manufacturers offer different levels of warranties that have various degrees of protection. Level 1: this offers basic standard coverage. The GAF shingle warranty is called Base Shingle and Accessory Limited. Certainteed calls it General Asphalt Shingle Limited. It is free and you automatically have it when you purchase a shingle product. It covers serious material defects, and there are a lot of conditions that your roof would need to meet, in order for the warranty to be honored. Level 2: The second level is more comprehensive. For the two companies its known as GAF System Plus and Certainteed SureStart. It covers not only roofing materials defects, but also labor. Terms and conditions are also a little different compared to the basic warranty. To get this coverage, your contractor needs to be certified by the manufacturer to install their products. He would also need to fill out and file a warranty claim after he is done installing your roof. If he does not fill out this paperwork, you will not be eligible for it. Level 3: The third level of coverage is similar to the second, but its typically longer. Its known as GAF Golden Pledge and Certainteed SureStart Plus. While these different levels of coverage are almost the same across big manufacturers, there are a few significant differences, worth considering. Lets take a close look and compare what is covered and what is excluded from the basic CertainTeed and GAF coverage. Take a look at the shingle warranty comparison chart for “Lifetime” products. Shingles which are not Lifetime, have similar coverage terms, but different time frames. Certainteed Full for 10 years of SureStart Period, Lifetime 20 % at 40 years and beyond first 10 years 110 mph during first 15 years 10 years 1 time during the first 10 years for full coverage. after, only 2 year coverage from date of transfer. One of the most important differences between GAF and Certainteed warranty, is coverage due to ventilation issues. GAF states that it will NOT cover shingle or accessories damages that result from poor attic ventilation. There is nothing in the wording that forbids you from applying shingles over a poorly ventilated roof deck. So if you have one of those decks, you shingles are still covered from manufacturing defects. However, Certainteed has a much more stringent policy with regard to ventilation. It specifically states that if the shingles have been applied to a poorly ventilated or none-ventilated roof deck, the coverage is automatically reduced to only 10 years, and you would not be eligible for the upgraded SureStart Coverage. Both manufacturers will pay for blown-off shingles (110 mph and under). Both only offer coverage for the first 15 years of Lifetime products. Both manufacturers will pay for the cost of the blown off shingle itself. Labor to replace the shingle, tear off, flashings, underlayment, metal work, and disposal expenses are not covered. GAF also states that starter strips are not covered. Each manufacturer offers an upgraded wind uplift coverage to 130 mph with special installation. However, the terms are very different. 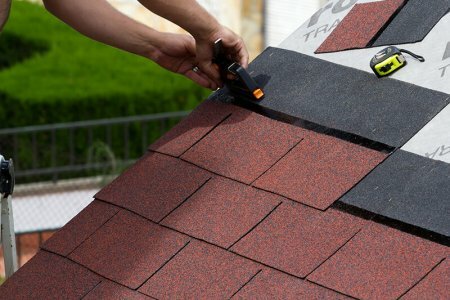 Certainteed warranty explicitly states that installing new shingles over existing ones is PROHIBITED. GAF does not have this condition. Certainteed only offers this for the first 15 years, while GAF offers it for a Lifetime. Both require that the contractor follows their installation instructions. GAF specifically states that a roofer must use 6 nails per shingle. Certainteed specifies installation instructions in a separate document. Finally, the company requires installation of specific starter shingles at the eaves and rakes, as well as hip and ridge accessory products in order to uphold the upgraded wind uplift coverage. GAF only requires the installation of its starter strip shingles at the eaves and rakes. GAF shingles warranty has a very interesting condition regarding failure to seal properly and how it basically becomes null and void. It states that all self-sealing shingles and ridge cap shingles, must be exposed to warm, sunny weather for a few days before they completely seal. Improper installation can also lead to failure to seal. If shingles are not properly sealed they are susceptible to wind blow off and wind damage. However, they will not be covered, because failure to seal is not a manufacturing defect. This means that you should avoid installing GAF shingles during cold months that have very little sun, if you want to be covered. 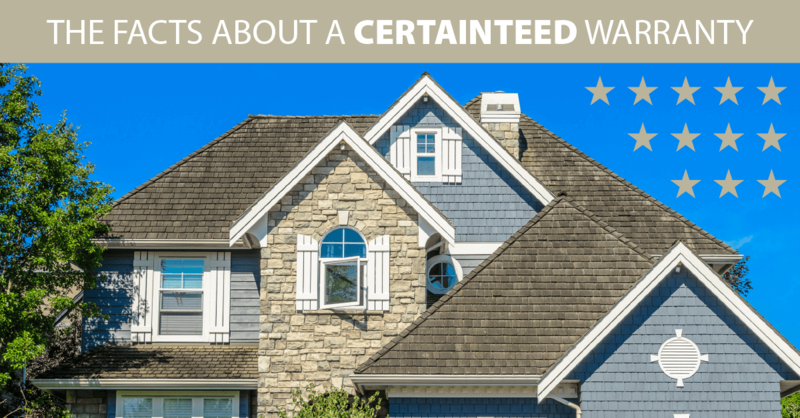 Certainteed roofing warranty does not have this condition. Both manufacturers cover the cost of labor to repair or replace shingles that have a manufacturing defect for the first 10 years. Flashing, tear off, disposal, and other roof accessories are not covered. GAF explicitly states that you must file a claim within 30 days after noticing a problem. Certainteed does not set such a strict time line to report a problem. Both manufacturers require you to send proof of properly ownership and the date of shingle purchase and installation. Both companies state the basic shingle warranty can only be transferred once: from the original homeowner, who installed the product, to the next homeowner. They also state that if the transfer takes place during the first 10 years of a Lifetime shingle product, the second owner gets the full coverage. However, if the transfer takes place after 10 years, coverage is reduced to only 2 years. GAF requires the second homeowner to file the transfer paper work within 60 days of purchasing the house. Certainteed does not specify any time requirement for this. Both manufacturers will not cover damaged shingles that result from the following: mold, algae (except for blue green type), fungus and moss, acts of vandalism and war, exposure to chemicals and other contaminants, settlement, movement or building defects, falling objects, structural damage, fires and explosions. Damages from severe weather conditions, such as: tornadoes, hurricanes, lightning, hailstorms, earthquakes, ice dams and floods are also not covered. Damages caused by improper installation are also not covered. Improper storage or handling of shingles that results in damage is also not covered. If you are looking for more coverage, GAF offers the System Plus Limited Warranty, also known as the GAF Silver Pledge. It offers additional coverage against manufacturing defects for GAF roof accessories that will be installed along with your shingles, such as GAF Ridge Cap Shingles, GAF Starter Strip Shingles, GAF Leak Barrier products, GAF Roof Deck Protection products, GAF Cobra® Attic Ventilation products, and GAF labeled Ultimate Pipe Flashing® with EasySleeve. For Lifetime products, it has a none-prorated period of 50 years. During this time, GAF will cover costs for both replacement or repair as well as the damaged material. It does not cover tear-off, disposal, flashings and metal work. After 50 years, GAF will cover 20%. All other terms are the same as the basic material coverage. Your contractor must register this warranty within 45 days of installation for it to be valid. Comparatively, Certainteed takes a different approach to their upgraded warranty. They offer separate materials warranties for their roofing accessories, but instead give more comprehensive labor coverage with SureStart. With this one, Certainteed pays 100% of materials and 100% of labor to repair or replace damaged shingles: Grand Manor®, Carriage House®, Belmont™ Belmont™ (Impact Resistant), Arcadia Shake™, Presidential Shake® TL (& AR), Landmark® TL (& AR), Presidential Shake® (& AR), Presidential Shake® (Impact Resistant), Presidential Solaris®, Highland Slate®, Highland Slate® (Impact Resistant), Landmark® Premium, NorthGate®, Landmark® Pro, Landmark Solaris®, Landmark Solaris® (Impact Resistant) and Independence®. Best of all, Certainteed will also pay for the cost of flashings, metal work and disposal of above shingle brands. All other conditions stated in the basic materials warranty apply here as well. If you are looking for more labor coverage, GAF offers their Golden Pledge Warranty. It covers the following products, manufactured exclusively by GAF: all Shingles, Ridge Cap Shingles, Starter Strip Shingles, Leak Barrier products, Roof Deck Protection products, Cobra® Attic Ventilation products, and Ultimate Pipe Flashing® with EasySleeve (manufactured by Lifetime Tool® & Building Products LLC). It does not cover ShingleMatch™ Roof Accessory Paint, Master Flow® Attic Ventilation, Cornell Nail Base Roof Insulation, or low-slope membranes. One of the best and unique things here is the coverage of misapplication of GAF products and flashings at valleys, dormers, chimneys, and plumbing vents for the first 25 years. The cost of tear off and disposal of materials necessary to perform the replacement of repair is also covered. You can only have this warranty if your roof is installed by a GAF Master Elite Contractor. If the misapplication error occurs in the first 2 years after installation, your contractor is obligated to repair it. In case he is not able to do so, GAF will perform the repair. Afterwards, whether or not your contractor remains in business, GAF will stand by their workmanship warranty for 25 years. Comparatively, Certainteed offers the same SureStart warranty, but extends the time frame. It is known as SureStart Plus. The same shingle products as listed above are covered, the terms are the same, but you can make it last longer. For this, you will need a certified Certainteed roofing contractor to complete the installation. You can get either 4 or 5 star coverage (see the chart below). Notice, that 5 star coverage gives you 25 years of workmanship coverage, which is a huge deal! Overall, GAF Golden Pledge is comparable to CertainTeed 5 Star Warranty. At the end of the day, workmanship warranty is what matters most. This is because manufacturing defects on the shingle or roofing accessory itself are extremely rare. 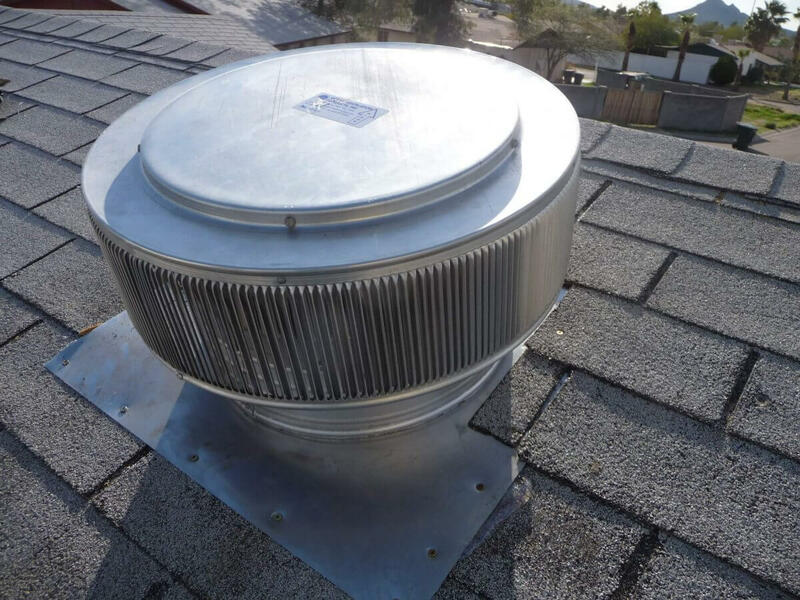 Most problems occur as a result of faulty installation and other issues, such as poor ventilation. 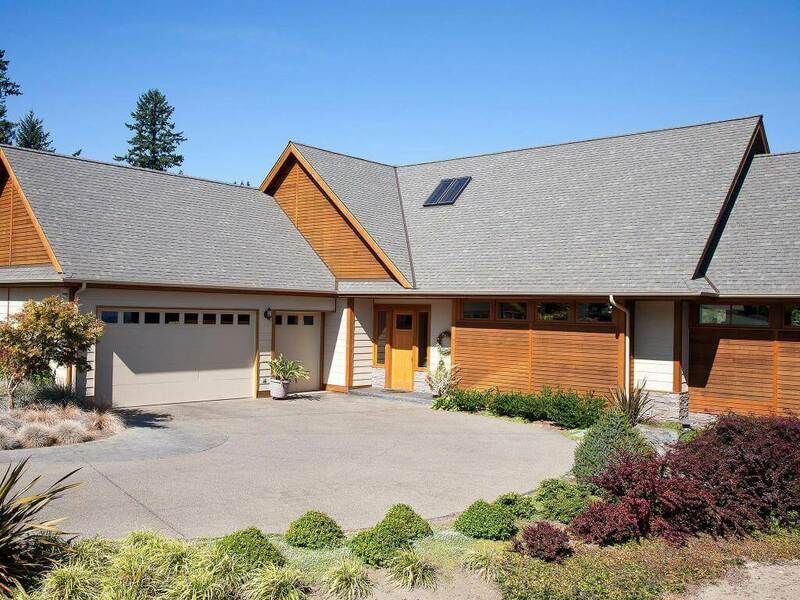 Moreover, the cost of shingle itself is very inexpensive; its only 10-20% of the total cost of repairing a roof. Thus, if your warranty only covers materials but not labor, you will be saving a few hundred bucks, compared to a few thousand you will need to spend on a major repair. If you are looking for a comprehensive warranty that covers labor, you will need to install the entire roofing system from one manufacturer. This includes products like underlayment, flashing, ice and water barrier, ridge ventilation, ridge/hip cap, etc. This is where manufacturers have an opportunity to make more money: they up-sell you on these expensive brand name roof system parts, and therefore can offer the extended warranties for free. If you only want to get the basic material warranty, you could get away with purchasing roof system components from different manufacturers and save money along the way. Unfortunately, there are many instances when a manufacturer will find a way NOT to uphold the warranty. One common way this happens is the manufacturer sites “poor roof ventilation” as the reason the warranty is void. There is very little that can be done in this case, as the majority of roofs and attics are poorly ventilated. The inspector, who comes to examine the issue you have filed a claim for, will most likely use this fact to deny it. Also, the process of filing, processing the claim and getting it approved is very drawn out. It may take months before you see any payment. Obviously, if you have a roof leak, you will need to repair it right away and the money will have to come out of your pocket. Since sloppy installation is the reason for the majority of roof leaks and other problems, you should get a labor warranty directly from your roofer. This is truly the best way you can protect your home for many years to come. A reputable contractor will offer their own labor coverage, as a hard proof that they are willing to stand by their workmanship. Most pros will cover labor and materials to fix the problem, but will not cover damages to other parts of the house. Some may repair these damages, on case by case basis. Tell us which roofing manufacturer’s warranty you prefer and why in the comments below.